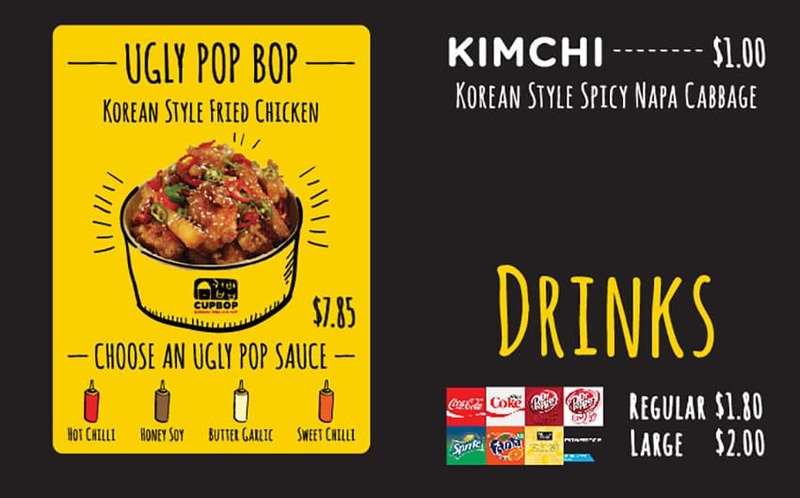 With locations all across the Wasatch Front and multiple food trucks – the Korean BBQ in a cup from Cupbop shows no sign of losing popularity with Utahns; in fact you will even find Cupbop in neighboring states now! Ordering is simple. 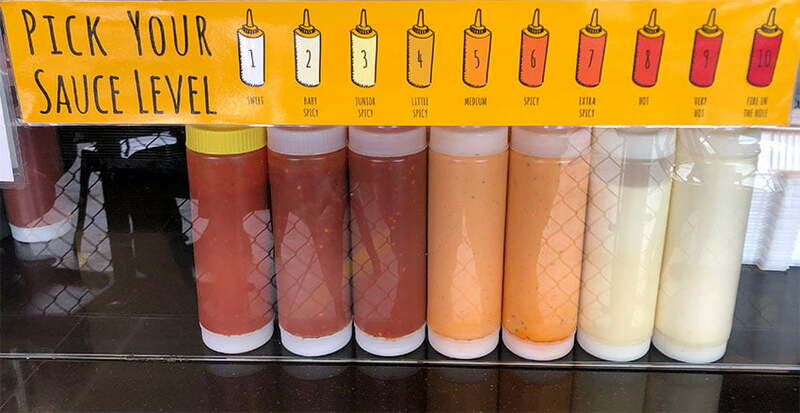 You choose your type of bowl and level of spice. Your order is made there and then at the counter for you, and you’re free to take that to go, or dine in, bussing your own table. 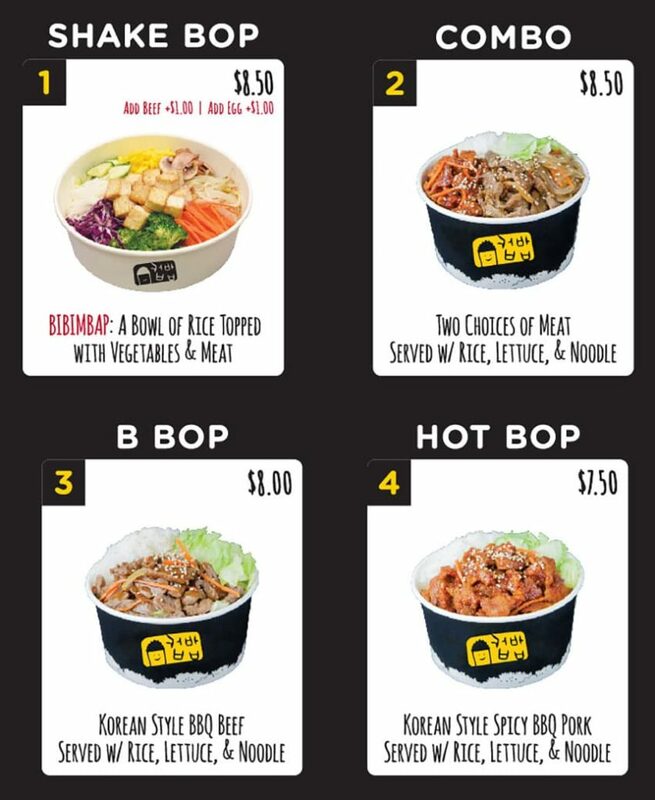 The above menu applies for most locations but Shake Bop, Dol Bop and kimchi mandoo might only appear at select locations. Call the restaurant to confirm. Outside Utah? 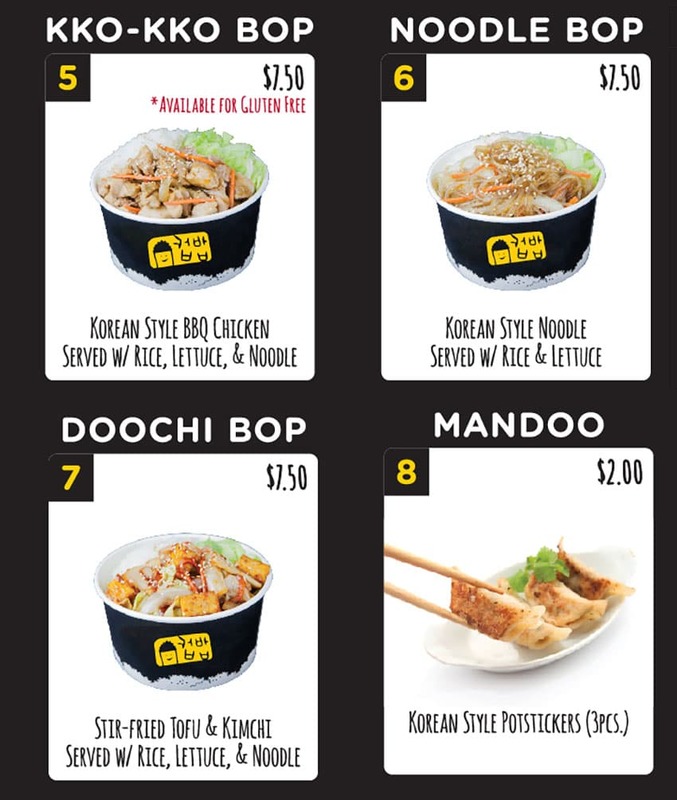 Find other Cupbop menus: Cupbop Idaho. What is Korean BBQ in a cup? Essentially most of the dishes are a layer of rice, japchae and your choice of meat; beef, chicken or pork. 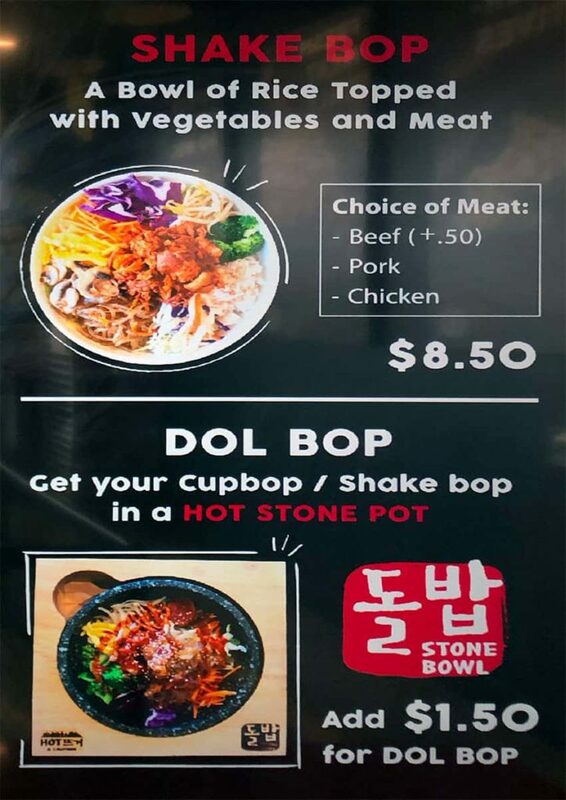 The two slightly different dishes are Shake Bop which adds additional veggies to the mix and Dol Bop which comes in a hot stone bowl, rather cardboard bowl. 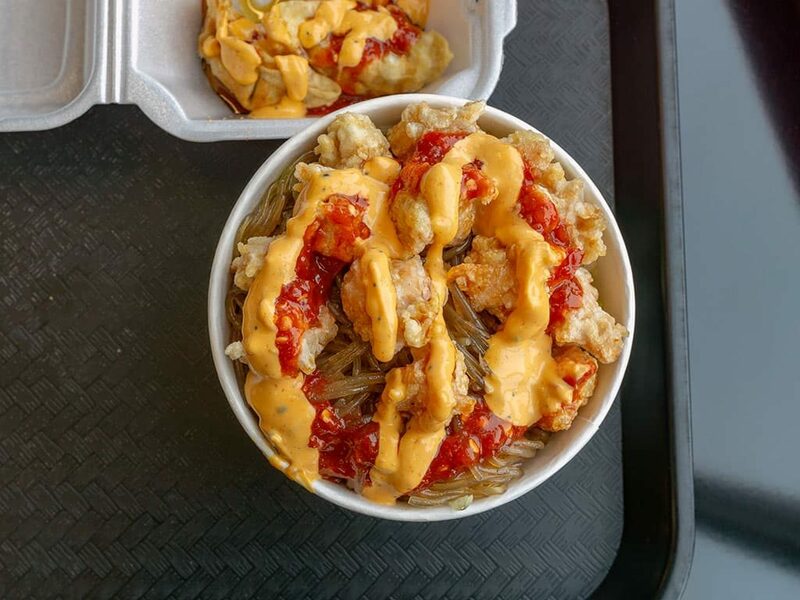 Those golden-yellow almost translucent noodles you see in most of the dishes are made from sweet potato – and are delicious. 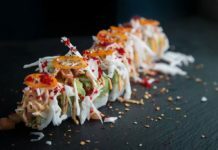 One bite and you’ll be hooked. Quite simply, Korean style pot stickers. 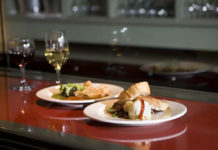 Most of the locations offer at least one variety, usually filled with ground meat. 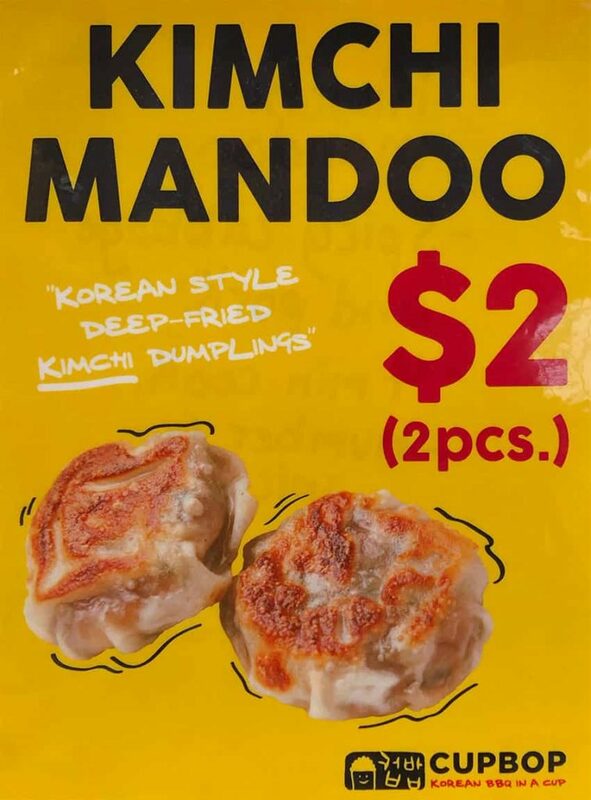 Some locations might also offer the new kimchi mandoo. That’s the famous Korean cabbage side dish, made by slow fermenting cabbage with a mix of chilli and garlic. One you get the taste for kimchi, you’ll want more and more and more. 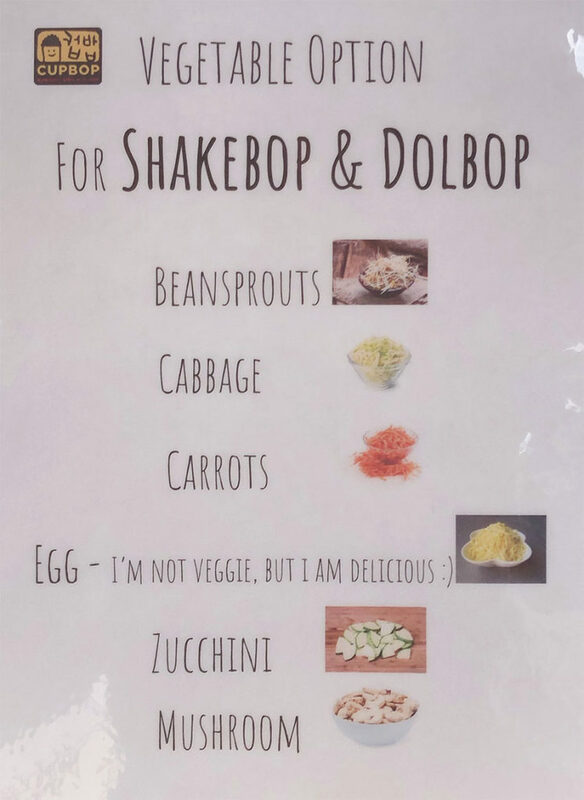 I went to Draper 2 weeks ago, for whatever reason somehow why they don’t sell shakebop, maybe they’re short on certain ingredients idk, but it doesn’t mean you should stop going. Midvale & Fashion Place has shakebop so why not go there. 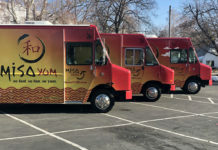 I would like to know if I can get the truck parked in the parking lot at Ream’s on 7235 W 3500 S.?? I will Send a form to who ever see’s this email. If filled out then the # of customers will determine on when you come. I How ever will not know the exact #. It’s different everyday. I would like the nutrition facts. Hi Mitzi, we’ve reached out to the business on this, but so far haven’t had a response.